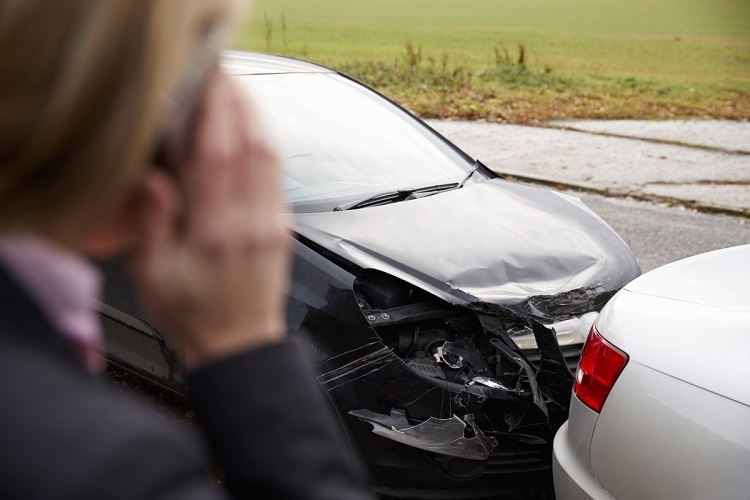 Following a car accident, you are left with only a few options. One of them is to contact a skilled attorney and have him take care of your case. However, most of the time people feel disoriented, confused and in panic and don’t know what to do or who to call. There are ways in which you can protect yourself right after the accident. By doing the following actions, not only will you increase your chances of obtaining the compensation you deserve, but you will also make it easier for your attorney to take over. The first thing you should do after an accident is call 911. It doesn’t matter how things look like, you have to be checked for any other injuries that may not be visible to the human eye (internal bleeding, concussion, brain damage). Once you get checked by a medical professional, you will receive a report stating that you received certain injuries and treatment. You can use this medical report as proof that you actually sustained these injuries from a car accident, and seek compensation for them later on. Remember that you have to follow the doctor’s appointed therapy; if you don’t show up and the insurance of the party responsible for causing the accident finds out that you have been slacking with your recovery, they will use it against you and say that your injuries are not that serious as you apparently don’t need any treatment. The sooner you call an attorney, the better chances you will get of winning your case and obtaining the compensation you deserve. However, you cannot simply hire an attorney; you have to do your research and find out which one is the best and which one has the most experience in handling situations such as yours. If you don’t have time to spend on research, call our Car Accident Attorneys in San Diego and worry not about your case. Once our attorneys take over, your case will be in the best hands possible. Assuming that you filed a police report on the scene and received medical care, your next step is to file an insurance claim. This is where your attorney plays an important role, as you will be approached by the insurance adjusters representing the at-fault party’s insurance company. They will offer you an initial offer (which is usually very bad); if you accept it without consulting with your attorney, you may lose more money than you can think of. Before you sign anything, remember to consult with your attorney first. Don’t rush, you have enough time to check everything and make sure that you are getting a fair offer. After all, even if the offer is not good enough, you can always try and negotiate a better deal. The best thing is to let our Personal Injury Attorneys from San Diego take care of the negotiations on your behalf while you focus on your recovery. Our attorneys will get help in evaluating your case, and know what sum to look for from the insurance company.